Home of BIRON ELITE GREAT WHITES 2016 NCA SR. LEVEL 4 NATIONAL CHAMPIONS !!!!! 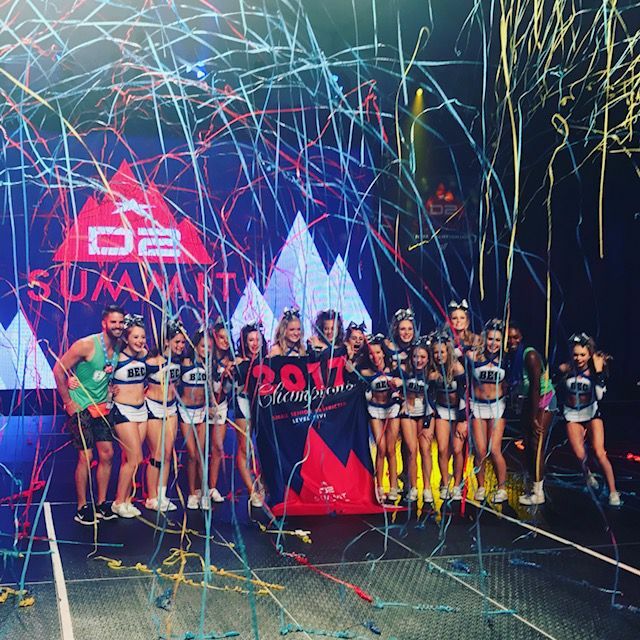 2017 D2 LEVEL 5 SUMMIT CHAMPIONS!!!!! BEC has trained 8YRS of NATIONAL CHAMPIONS 2010,2011,2012,2013,2014,2015,2016,2017!!!! !